As a group of children from different cultural backgrounds explore a patch of inner-city bushland, they make discoveries about the land they share and the things they have in common. The story of their simple but inspirational journey is a model for the way harmony can be shared across Australian society. When Nadia Wheatley was asked to devise a project to build harmony among children from a variety of Catholic, Muslim and public schools, she took them on a walk through a small patch of bush in their local area. Back in the classroom, Nadia and artist Ken Searle helped the students to continue their explorations through writing and art. As the children learned about the land and its traditional owners, its animals, plants and seasons, they also began a journey of friendship and understanding. 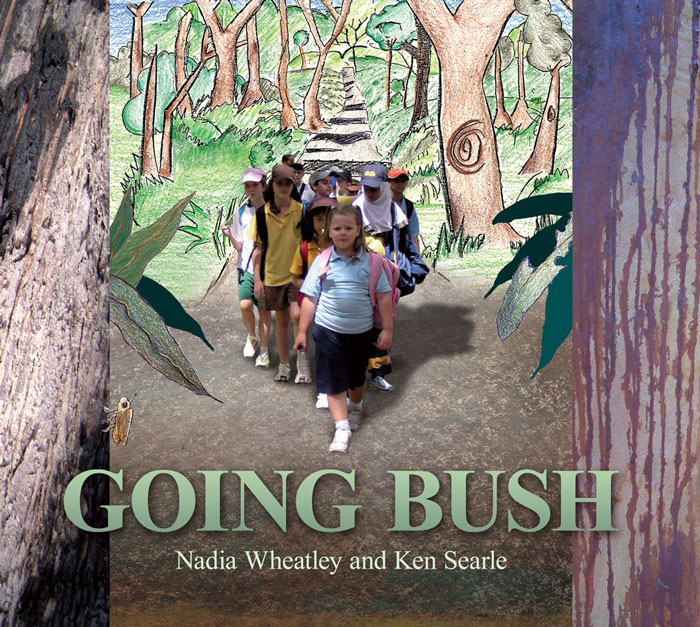 The innovative picture book, Going Bush, incorporates the children's artwork, poems and prose with a narrative text by Nadia Wheatley and Ken Searle's photographs, illustration and design. It provides a template for any parent or teacher who wants to encourage children to write, draw and explore. Suitable from lower primary up.